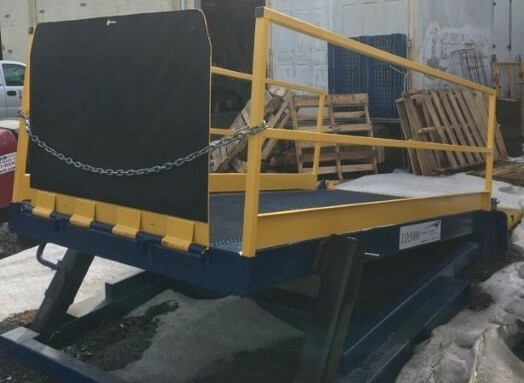 Portable, adjustable loading ramp, 5000 lb. capacity. Adjustable loading ramp. Manual (crank) 2 speed adjustment. Fork pockets for easy moving.